A Slayer is born into every generation…for people of a certain age, you know what’s coming next…and this is the start of what can best be described as a Buffy spin-off series. Athena and Artemis are twins. When we first meet them they are young girls, caught up in a fire and only one of them is saved. We only see this event through the eyes of the mysterious Hunter figure. Someone who we know is close to the girls, someone who wants to carve out their place in history by destroying a prophecy and someone that we only hear from periodically throughout the book. 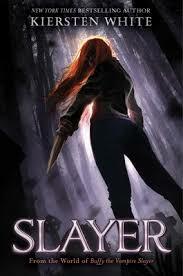 Much of the book focuses on Nina (as Athena prefers to be called) learning that she has – after the hellmouth was closed – been given the power of a Slayer. She’s not happy about this as it goes against everything she believes in as a healer. She takes it upon herself to start investigating the appearance of demons, kill the odd hellhound and generally get caught up in all manner of strange events. All while suffering angst over her crush on old friend Leo, now returned as her watcher. There’s no escaping the obvious love and respect for her source material that White has. There’s numerous references to events fans of the show will remember, and some wonderful characters/dynamics. I was struck by the action of the novel, and couldn’t help but laugh out loud at some of the moments. There were also moments of exquisite sadness. You’ll know them when you come to them, and the ending certainly had me cheering for our Slayer. Not quite Buffy…but something new, and something exciting. Thanks to NetGalley for letting me read this in exchange for my thoughts. I was so impatient for this, and found myself desperate to finish it while being reluctant to get to the end. No more? There’s options, and I’m certain we could dip further into Lockwood & co and what happens to them following this book…yet there’s something bittersweet about knowing that there could still be a story to tell and not getting it. We open fully aware that this is going to be a humdinger of a case. Lucy admits that this case is their biggest yet, and it has far-reaching consequences. The dynamics between Lockwood, Holly, George and Lucy remain fresh and funny. They are quickly caught up in an investigation into possibly the biggest upset of the series…the exact situation regarding Penelope Fittes. I didn’t see this coming, and it was ripe for exciting scenes on the other side, battles and ghostly goings-on. For me, there were two strands that were focused on in this book that just caught me by the heart-strings and tugged over and over again. It may be a story about ghosts, but I wanted Lucy and Lockwood together. Their attraction was even more obvious here, and I was excited to see how he opened up to her. His backstory and the details surrounding his family were just what was required, and though it’s been all too obvious how they feel about each other I like that Stroud has kept this under the surface. Oddly the love story that has most impact for me in this series is that surrounding Lucy and the skull. From the moment she could hear its vile mutterings we’ve known Lucy and the skull share a special bond. He is a character crucial to events but the kind of character who entertains and infuriates in equal measure. 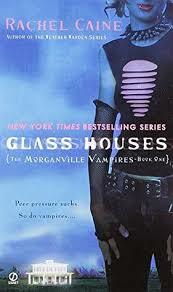 His comments towards Lockwood certainly show his feelings for Lucy, and this book was all about whether she’d trust him. How can a spirit character who spends his time chained to a jar be the character I’m most engaged by? Simple…his actions later in the book were just beautiful. That glimpse on the windowsill at the end is just enough for me to hope that his actions weren’t in vain. 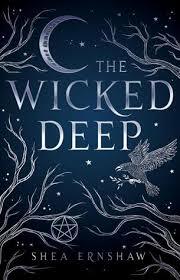 When I saw this on NetGalley I, along with many others I would imagine, was expecting lots of details about witchcraft and perhaps some focus on exploring how it impacted on people’s lives in this imagined future. I got it, but not quite in the way I expected. 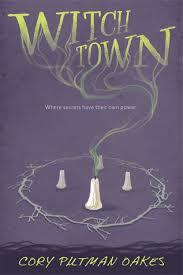 Macie and her mother, Aubra, move into his safe Haven called Witchtown. It is a safe community for those ostracised from the rest of the world when their talents become known. Sadly, it’s the latest mark in this pair’s thieving trail. Only this time, things are different. Macie has always felt rather reliant on her mother. As a Void (someone with no magic) Macie has depended on her mother’s Natural ability to protect her. This leaves her vulnerable as she can rely on no-one. Yet we are told that in their last residence Macie did exactly that, and it started off what can best be described as an unstoppable source of tension. Macie is a character who comes into her own in this, with the help of new friends Talya and Kellan. She learns more about who she is, what she wants from her life and what it might cost her to achieve it. Even though her mother is depicted in a rather caricature fashion, there’s something rewarding about watching Macie take a stand against what she’s been told her entire life. Though there’s some interest in watching Macie learn the truth about herself (which we suspect from quite early on), there’s a lot that just doesn’t add up and this is, ultimately, frustrating. Sometimes, when looking for books to fulfil an online group reading challenge, you come across something that you wouldn’t normally think of picking up. This trilogy is one of those reads. ‘Relentless’ was a book that I wasn’t convinced by initially. It introduces us to Sara Grey who found her father, murdered, and has always been determined to find out what happened to him. She hasn’t got far in her quest, but since his murder she has established she can do things nobody else can and there’s a few odd things going on around her. 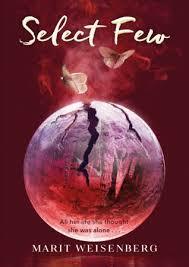 Everything is thrown at us in this book and, initially, it all seemed a bit formulaic. There’s vampires, Mohiri, trolls, dangerous humans, werewolves, fae…a snarky main character who finds it hard to trust people and a brooding male who you just know is going to be more than we expect. However, as things unwind it became a whole lot better than I was expecting. Elements of the story were interesting, but I felt there were some plot-holes and something of a lack of control over the environment which just stopped this from being a really good read. 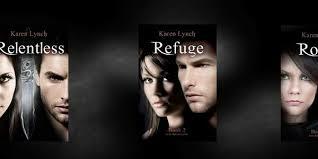 In ‘Refuge’ we kick off with Sara in her Mohiri stronghold, undergoing training to try ad keep her safe from the Master vampire who’s determined to find her. She gets to learn a little more of her skills-and find new allies. We didn’t, thankfully, have to wait too long for Nikolas to return and the heat between these two was ramped up – while all being very chaste. Our key focus here is the developing power Sara has, and the realisation that a certain someone will stop at nothing to get what he wants. I got a new favourite character of Desmund, and I really liked how we start to learn a little more of Sara’s potential. 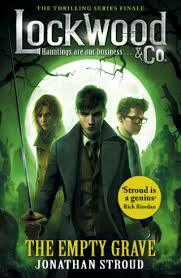 I’m certainly pleased to say this left me keen to read the final book in the trilogy. This, to me, seems like one of those books that will either infuriate or inspire. We open in Prague, focusing on a young art student. All seems very ordinary – but then we’re told about mysterious handprints appearing on doorways and people dealing in teeth. From early on it is evident that we are in the realms of fantasy, but it is heavily mixed with a more contemporary feel. The opening descriptions of Prague are evocative and starting with the focus on Karou and her rather interesting secret life definitely piques your interest. The opening chapters seemed like a contemporary romance in places, but there were enough links to a fantasy world to keep me intrigued. However, the time-frame of this novel was rather disorientating. We are, essentially, getting the love story of Madrigal and Akiva – a kind of fantasy Romeo and Juliet. 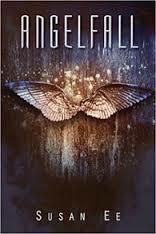 They live in a world of seraphim and chimaera, where magic brings danger and few are to be trusted. 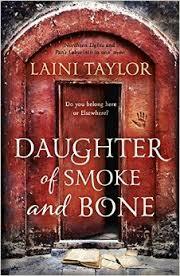 Only this isn’t clear until about halfway through the book when we start to see how Karou is linked to their story. I don’t want to give away how the two elements combine, but it works – for the most part.